Zawro guarantees our services to you. We believe in getting your work completed successfully, and within budget. You only pay when the work is completed successfully and within budget, that’s our service guarantee to you. With our White Label Partner Program, you can get guaranteed work, and our work is all white label so we don’t brand our work. You get the peace of mind that you only pay when the work is completed successfully and within budget. 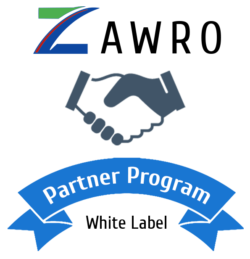 By partnering up with Zawro, you can offer software integration work to your Clients. Your Client stays with you, instead of having to go elsewhere. The only work you need to do for our Partner Program is to get the Scope of Work from your Client. The easiest way to do this is to use our One Hot Method. How this works is when you’re with your Client, call Zawro on Skype, Line or Viber, and we’ll get the Scope of Work needed for the job. This way, you don’t need to know or learn anything about software integration, so you can focus on what you do best, and let Zawro look after you here. Our work is white label, so when you call, we act as your in-house IT department. From the Scope of Work, Zawro will get a detailed quote for you for free. Read more on the Process of Zawro’s White Label Partner Program here.